9.9" x 11.9" stitched on 14 count. 7.7" x 9.3" stitched on 18 count. 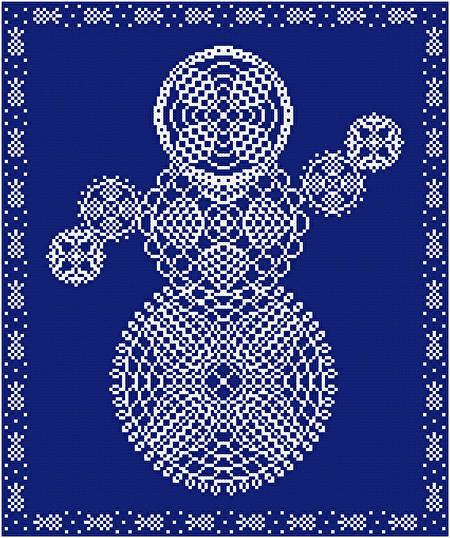 Pineapple Doily Snowman cross stitch pattern... Snowman is created by pineapple doilies. Open design speeds up completion of stitching. Colors and types of floss or fabric may be changed. Whole stitching. Uses only 2 skeins most flosses.